This year, 44 exhibitors came from 6 different countries. 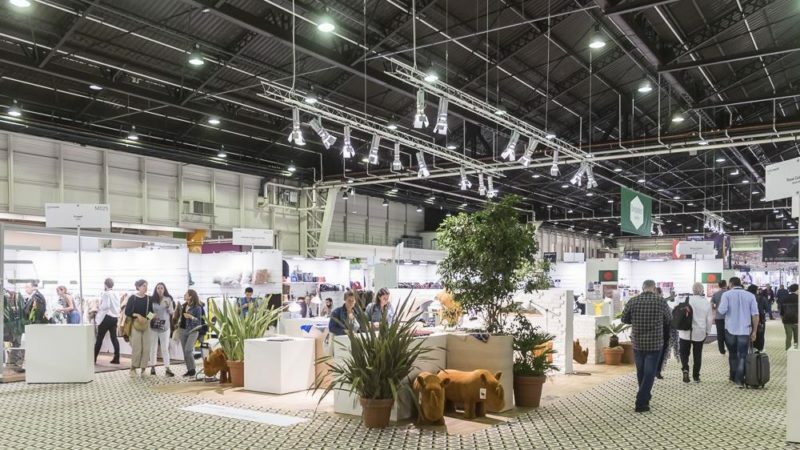 “25% of buyers we saw were looking for an alternative to leather” reported Marie-Pierre Chapuis, head of PR at CETI, which was an exhibitor at the partner show Avantex. This confirms the relevance of the concept for Leatherworld Paris with its range of materials aimed at fashion accessory producers (bags, shoes, belts, small leather goods, trimmings for clothing etc.) and to include leather and fur. “Many of our visitors were very interested in this first show, and had a positive attitude when you take the business climate into consideration. Our aim of being able to offer leather and, similarly, fur – which covers skin – as well as other materials destined for the same use, has appealed to people. We must say that expectations from fashion brands on the subject are considerable. Satisfying consumers who pay greater attention to the composition of materials and keeping costs of raw materials under control are becoming a substantive challenge. Leatherworld Paris, by focussing on what is so essential in the manufacture of a product and the product itself, meets this demand in full. However, companies’ appetites for leather and fur will always be heeded” explained Michael Scherpe, President of Messe Frankfurt France. Needless to say, visitors examined the range of leather offered at Leatherworld Paris, which focussed on the fashion product, methodically and inquisitively. Leatherworld has found its audience as it had been greatly anticipated. In fact, 46% of visitors to Messe Frankfurt France’s Paris shows wanted a segment devoted to leather and related materials. “We’re leaving with a feeling of having achieved outstanding success. We made some valuable contacts with fashion designers, buyers for decorations and even leather merchants and furriers”, exclaimed Ali Liang Ma, the marketing director at Ningxia Shansan Industry and Trade, which was presenting a fine collection of sheepskin, cowhide and fox fur.